TC-5930AR Shield Box by Concentric Technology Solutions, Inc.
*Effectiveness measured with M5930A01A I/O module. See datasheet for ranges with other standard module configurations. 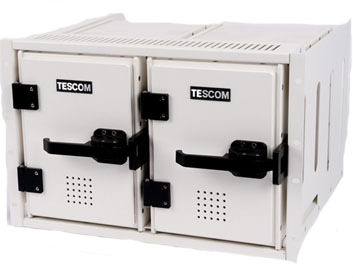 TC-5930A/AR RF Shield Box provides both high RF isolation and room for testing small to medium size wireless device testing in a convenient space saving rack mountable shield box. The TC-5930A/AR RF Shield Box is an ideal test platform for and Engineering Lab, Manufacturing, or service due to it's ergonomic design and compact design made to grow with your testing needs as they change.